Barcode Label Maker Software creates industrial standard labels in all major barcode font standards. Software has inbuilt batch processing feature to create multiple barcode simultaneously. Barcode technology can save your business time as well as money and commonly used in retail, warehouses, shipping departments, libraries, healthcare, banks, distribution and many other places. Barcode label printing software supports creation of scan able and printable barcode images with support to major barcode printers (even general printers) and scanners. Create barcode labels provided with flexible page and font settings. Create barcode labels with major linear and 2d font standards. Barcode creator software provides option to print generated barcodes. 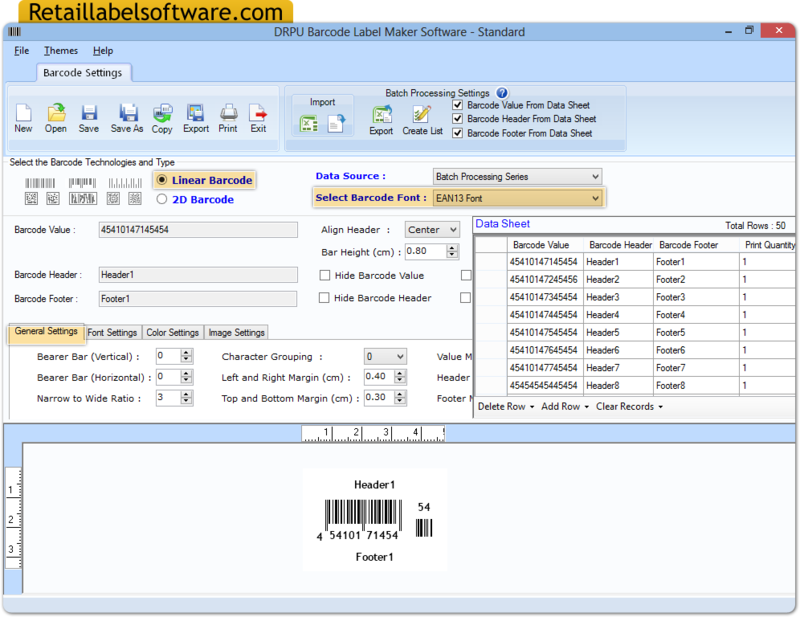 Barcode maker software provides option to generate barcode list (bulk barcode labels). Allows user to create barcode labels of any size. Provide option to save barcode images to a variety of graphics formats including jpeg, Bitmap, png, gif etc. Barcode download section: Download free trial of Barcode Label Maker Software to understand software features and functionalities. If satisfied with barcode software download section, place order for the barcode generator download software full version.